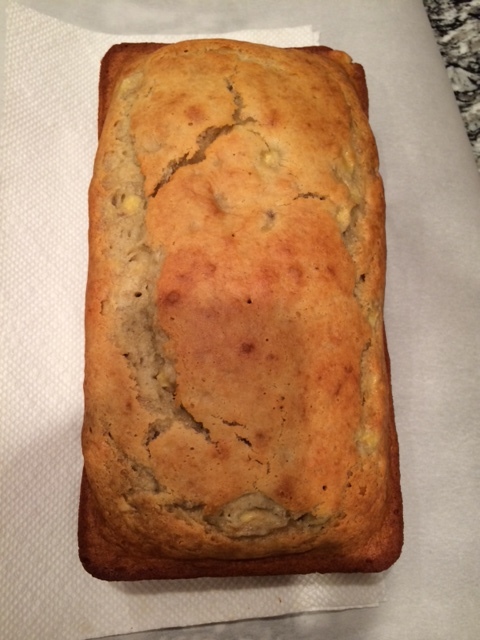 This is probably the easiest banana bread recipe ever. There are only 3 ingredients! I decided I would make mine to take up to Disney World with my family that is visiting from out of state. I made it gluten free so that my cousin would be able to have some. I have never made anything with gluten free anything so I was a bit nervous for how it would come out. Let’s see how it turned out! 1. Mash up the 3 bananas and mix with the eggs. 3. Bake for 40 minutes at 350. I think I should have mashed the bananas more, but I think it still came out just fine. Made my kitchen smell amazing. My cousin has given the seal of approval, it is very good!! Sorry, the post is late today. It has been a very busy weekend with a kitchen under construction. Now this recipe is something everyone can make when they have no time and only a kitchen table to work on. 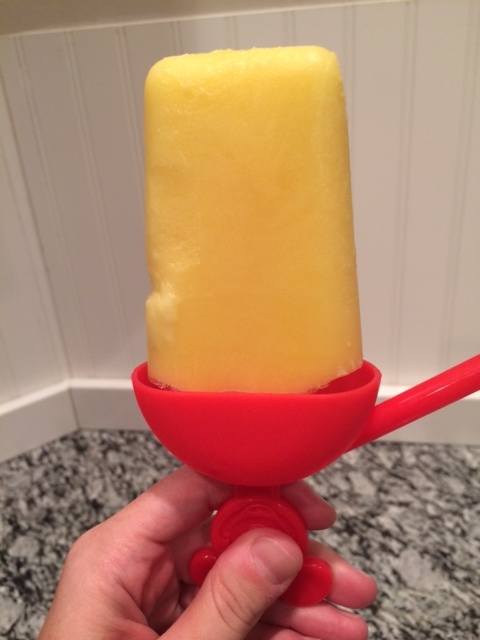 It is so easy and only 2 ingredients! Mix 1 package pudding with 2 cups of milk. So easy and so very delicious! Happy Sunday! The weekend sure does fly by! 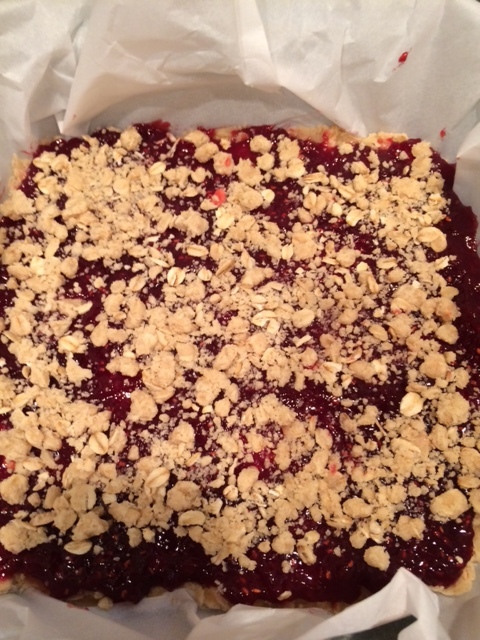 Today I give you Raspberry Crumb Bars. I really enjoyed these and there aren’t a lot of ingredients. 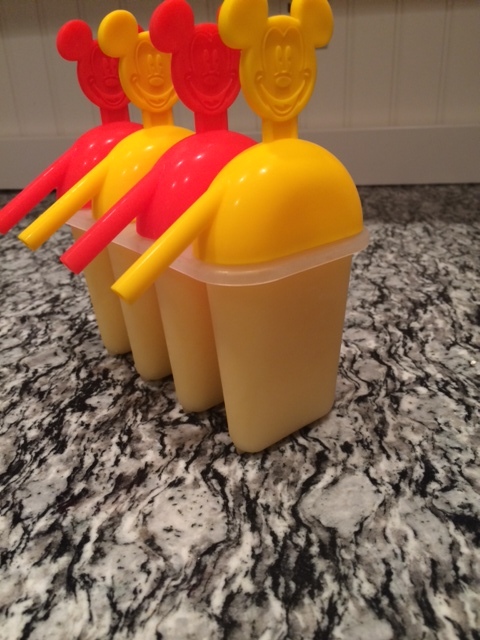 It is super easy to make and I think everyone will love them. Add 2 cups of the oat mixture to the prepared baking dish and press into an even layer. 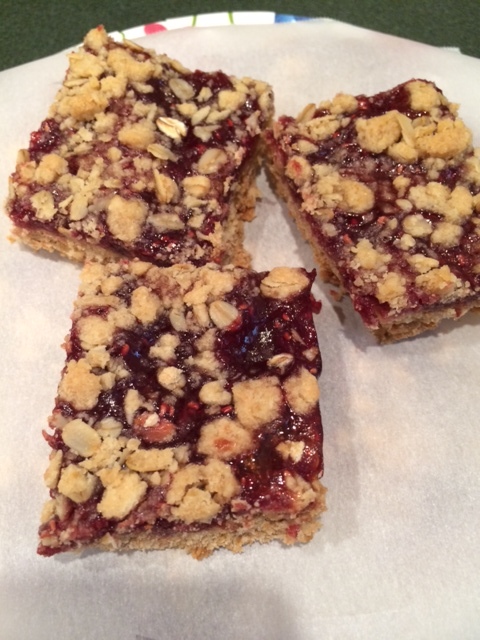 Spread raspberry jam into an even layer over oat layer, coming within 1/4-inch of all edges. Sprinkle top evenly with remaining oat mixture, then slightly press into jam layer. Bake in preheated oven until golden brown, about 34 – 38 minutes. Remove from oven and allow to cool completely before cutting into squares. Store in an airtight container. I used All Natural Red Raspberry Jam from Smuckers. You can use seedless if you prefer. I cut mine into 16 pieces and for my friends out there on weight watchers, that would be 4 pts +. If you cut them into 9 pieces that would be 5 pts +. I think you could eat it for breakfast or dessert. Happy First Day of June!! Today I give you 2 recipes. Both of which came out good enough to eat, but not amazing. You all may have better luck, so let’s get on with it. 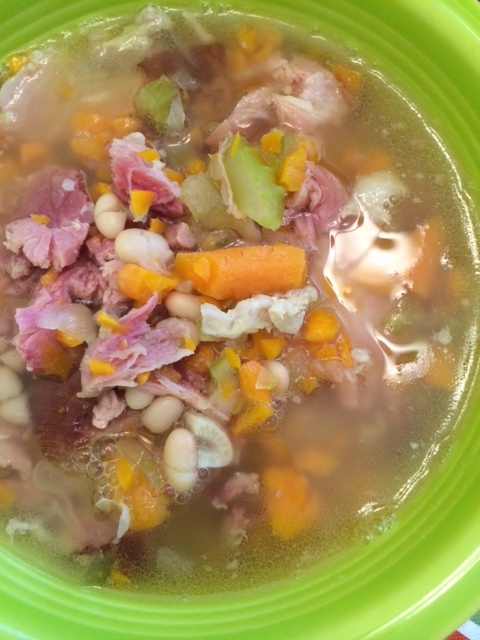 First up, Ham and Bean Soup. This one was kind of winged while at the grocery store, so not a lot of preparation went into it. It was also really easy to put throw together. I used a crock pot, so I dumped everything into it and let it do the work. 1. Pour water in crockpot. 2. Rinse beans before putting them in crockpot. 4. 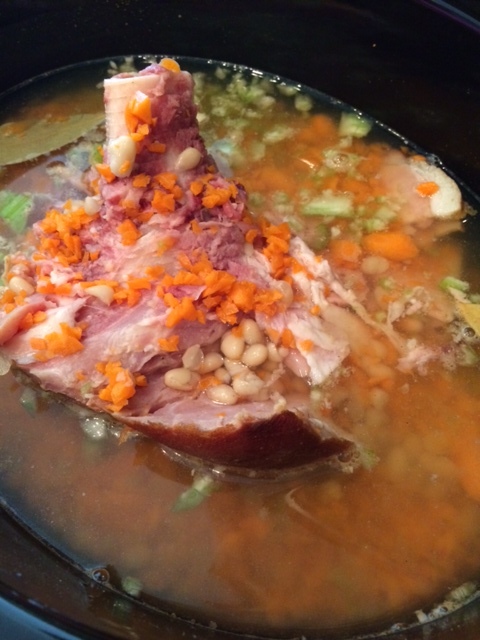 I let it cook for a few hours and then cut off the rest of the ham off the bone and served without the bone. It was good! I would definitely give it a try. 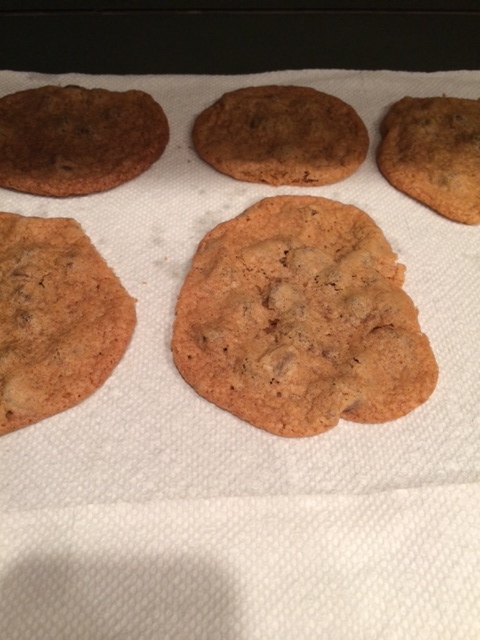 Last but not least of the double feature, Chocolate Chip Cookies. I have been kind of craving some chocolate chip cookies lately, so I decided I should just make my own. Note to self: make sure you know how much flour you have BEFORE you are knee dip in blending everything together. Combine your butter, sugar, and brown sugar in a medium sized bowl. Next blend with a mixer, your eggs and vanilla until thoroughly blended. Then add in your baking soda and salt. Slowly add in your flour until its all blended thoroughly. Last fold in your chocolate chips. Roll into 1 1/2 inch balls onto a lined with parchment paper baking sheet. Bake at 375 for 11-12 minutes. Ok, so this is a major fail on my part because I ran out of flour. Since I didn’t have all 2 cups of flour, it was too soft to roll into balls. I had to just use a spoon and drop them on the pan. They are pretty flat and I had to pay attention to the timing because they would burn if I cooked them the whole time. They still taste good, they are a bit chewy, but definitely edible and enjoyable. Always check your ingredients before you start cooking!